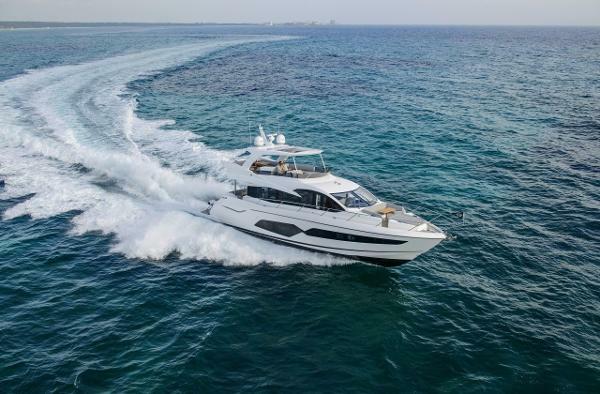 On Order The newly configured flybridge also creates the feeling that you are on board a much larger craft, large sunbathing areas forward and a well-equipped wet-bar. 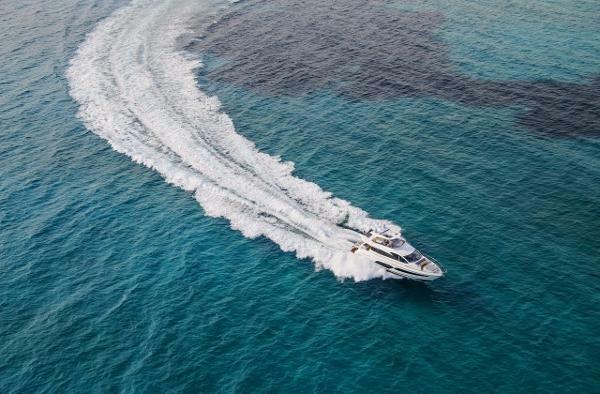 The sociable layout continues through to the wide bathing platform (capable of launching a Williams 385 Jet RIB) and transom ‘beach club' where an optional barbecue, fold-away bench seat and overhead ‘rain- shower' truly set the Manhattan 66 apart from its peers. 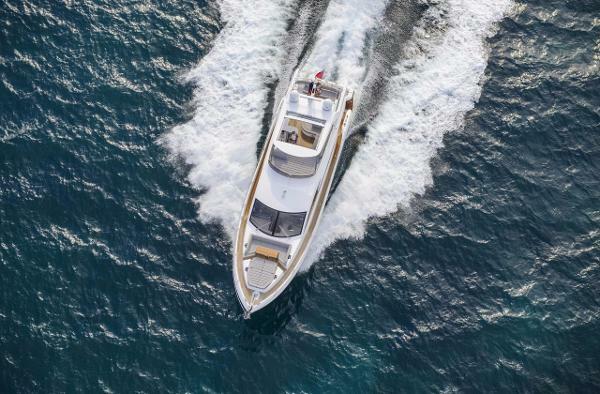 Thanks to the galley being situated on the main deck, there is room enough for four very spacious cabins below including two large twin cabins, a forward VIP suite and standout full-beam master cabin with its own private stairway access from the saloon; a first for Sunseeker in this size range.